Micaela is unquestionably THE Music for 18 Musicians guru. 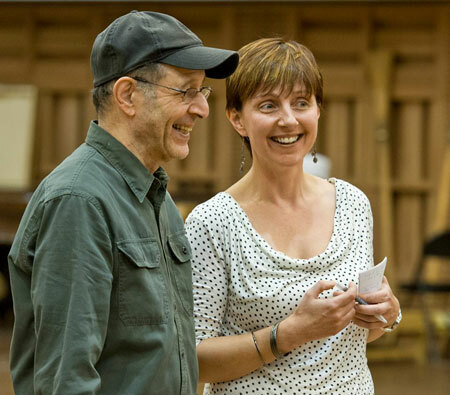 Even Steve Reich says that she knows the piece better than he does! More importantly, Micaela knows how best to coach an ensemble from scratch through to its first performance of the piece, and can vastly improve the sound and ensemble of any group that already plays Music for 18. Micaela is well-known for the way she can transform a good vocal ensemble into the best it can be, in a relaxed, positive manner. She has sung in numerous professional groups herself, and understands the joys and challenges of ensemble singing. 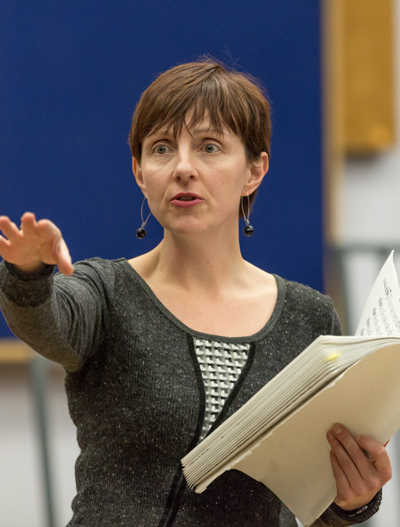 She has recorded and performed hundreds of programmes as a member of the BBC Singers under the direction of dozens of different conductors, so is uniquely placed to share a wealth of choral experience. Added to that, her time in the Swingle Singers and many years as a session singer have given her a broader perspective of what it means to sing professionally. Patient, constructive and enabling, Micaela can give invaluable practical advice, but also huge insights into repertoire and how best to approach it. Her knowledge of Steve Reich’s vocal music is unparalleled, having sung all of it herself on countless occasions with Synergy Vocals, but also having selected and prepared every team of Synergy Vocals singers for over 20 years. Micaela has worked alongside Steve Reich since Synergy Vocals began, but also with Louis Andriessen, John Adams, Luciano Berio and James MacMillan. This first-hand connection with the composers has given her an excellent understanding of what each of them requires from a vocal ensemble. Micaela has coached vocal groups in colleges and conservatoires all over the UK, Germany and the USA. For further details or recommendations, please contact Micaela directly. Recently Micaela has branched out into coaching non-vocal pieces by Steve Reich. The way she approaches the music as a vocalist translates so well into the instrumental repertoire and gives players a whole new insight into the way they might play, both individually and as an ensemble. Micaela recently spent a day with Piano Circus during their Snape Maltings residency working with the group on Reich’s “Six Pianos”, played on six Steinway grand pianos. Here’s how they got on. 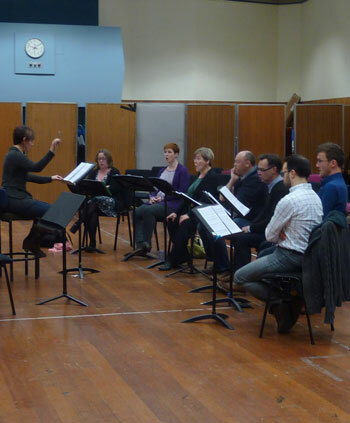 Whilst coaching Music for 18 Musicians for the London Philharmonic Orchestra, Micaela was also asked to oversee their rehearsals for Gavin Bryars’ Jesus Blood and The Sinking of the Titanic (which she directed in concert in the Royal Festival Hall, London). For several years, Micaela worked alongside Fraser Trainer, Stuart McRae and Anna Meredith on the BBC Proms Inspire programme. 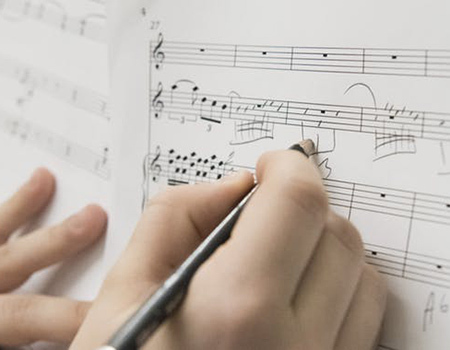 With the help of selected players from the BBC Orchestras, young composers were encouraged to write for small ensembles by way of workshops and individual coaching sessions.